Mexico was the next team on our path to our Top 10 goal. This team is lead by Samantha Teran who has been a Top20 player for many years. The order of play was 2,1,3. Milnay Louw went on first against a player that runs after every ball. 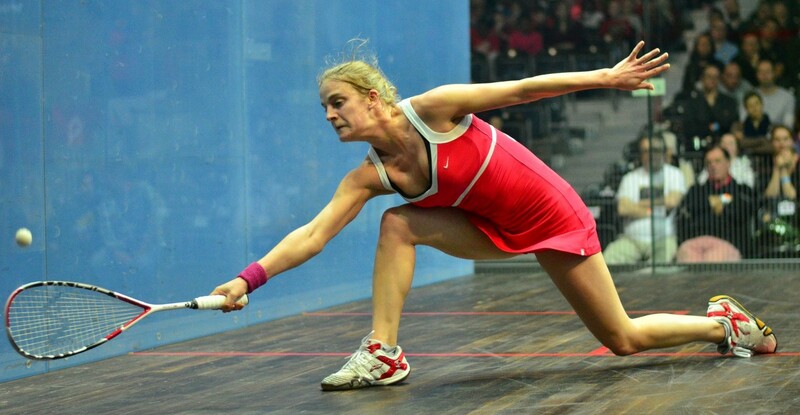 She played good attacking squash to see her get into the lead, but her opponent picked up everything and took the first game. Louw then mixed up the pace in the second game, which seemed to do the trick. Game Score1-1. The players were quite evenly matched and were fighting hard in each rally. Then it was 2-1 to Mexico, the 2-2. In the last game, Louw decided to stop playing catch up, and took control of the game by dominating in the middle and being clever with her shot selection. She went 8-3 up before finally clinching the final and crucial game! I went on next knowing it would never be an easy battle, especially since I had recently lost to Teran in October. Instead I focused on the game plan we had come up with, and it worked! I took the first game 11-2. In the second game, she raised her game, but I didn’t respond fast enough and she took that game, also 11-2. 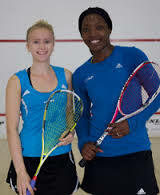 In the 3rd and 4th, I went back to the plan and managed to produce the squash to execute it, and soon took the match 3-1, which gave South Africa the victory we needed!!! We will now go on to play New Zealand, 9th seeds, to fight for a place in the Top10. After playing two matches on Monday, we had a rest day on Tuesday, only to play two more matches on Wednesday. We started the day of by playing the 5th seeds , France at 11h00. 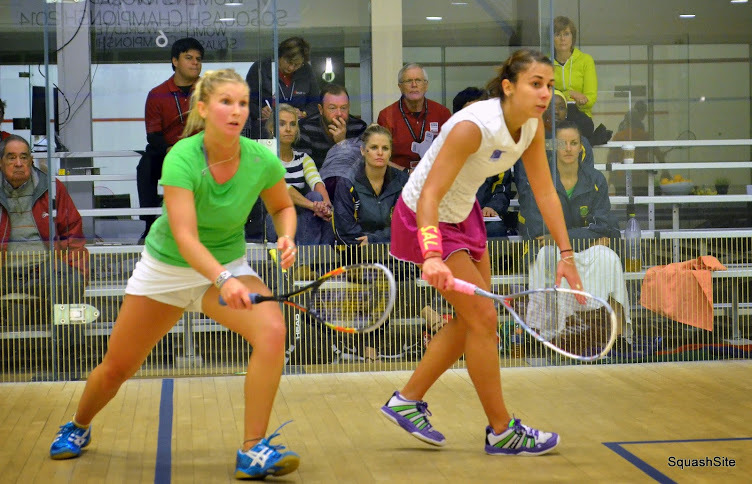 It was always going to be a tough task on paper, with France being led by the Camille Serme, world #6. The playing order for the day was 1,2,3, therefore as captain, I would have to lead the way. In the first 2 games, Camille showed why she is Top10 player, by being accurate and absorbing any pressure I tried to impose, which saw me being the one making the errors. In the 3rd game, I settled down more and focused on imposing my game, which seemed to work, and showed more patience in playing out the rallies, instead of rushing them to end. I won the 3rd game, and the 4th was similar, but at 8-8, she then showed her experience by placing balls more accurately around the court and I was left trying to scrape balls off the walls. 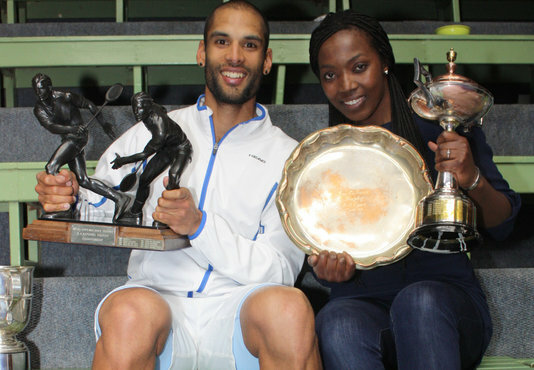 All in all, I gave my best and managed to produce some good squash against a top player. 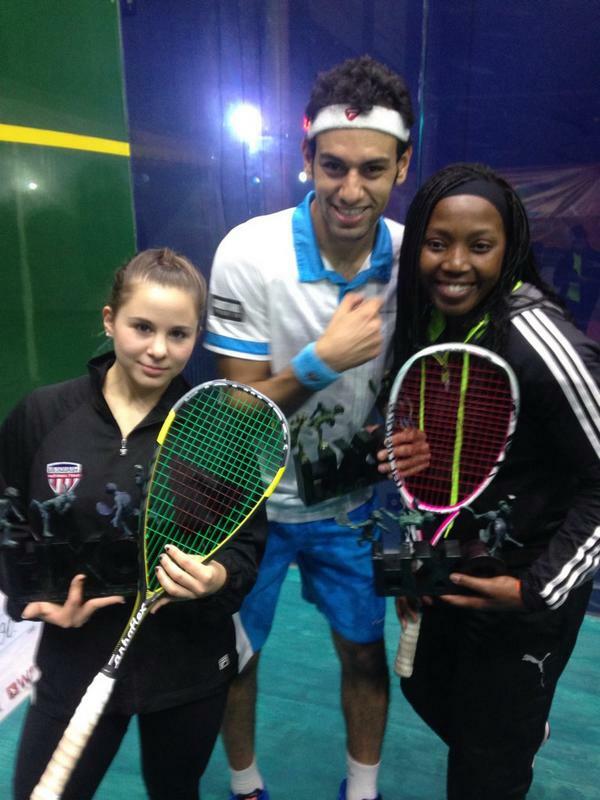 Milnay and Alex Fuller, also had a tough task in their hands, with both girls having to compete against players with higher rankings than them. Both fought valiantly, but unfortunately succumbed to the game plan that France was enforcing on us. France won the fixture 3-0. Next up was India at 18h00. This is a fixture we wanted to win to ensure we could have a chance to still reach our goal of finishing in the Top 10. My opponent was Joshana Chinnapa, a player with great attacking style to the front of the court, also ranked #22, and someone I have already had a few battles with in the past. She came out firing, and unfortunately I never quite settled down fast enough to be able to absorb her ferocious attack, and to also turn it around to impose mine. This was not my one of my finest moments, and was disappointed to lose that game 3-0. 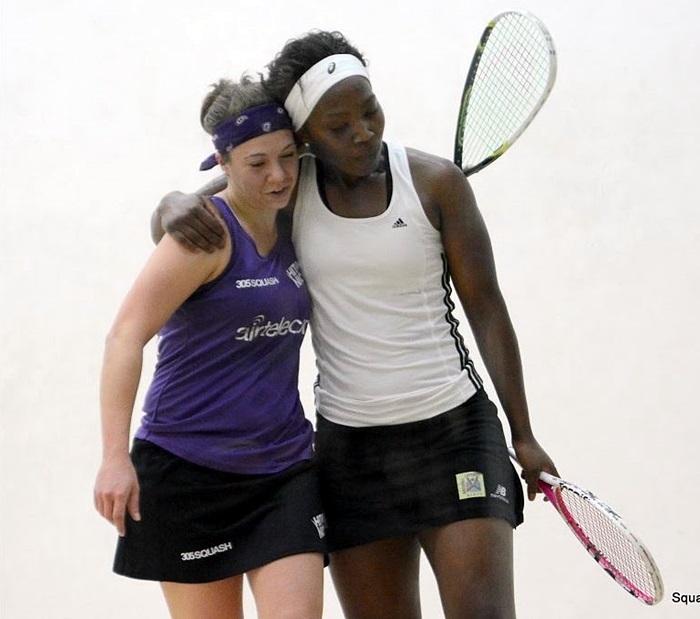 But this is where the TEAM effort kicks in, because Milnay Louw and Cheyna Tucker played like superstars! Milnay went on court and the first two games were over before the girl new what hit her. In the third game she had to dig a bit to finish more convincingly, but managed to wrap up the match in straight games. 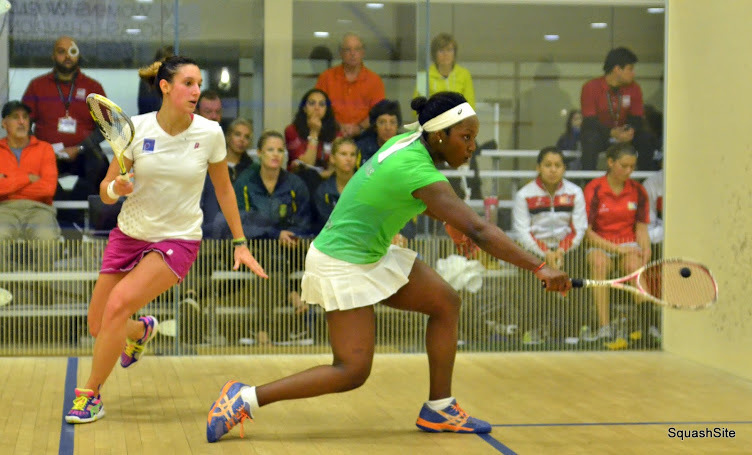 Cheyna also had a great start and went 2-0 up, then her opponent began to fight back. All of a sudden it was 2-1, then 2-2 and all of us are now biting our fingernails in anticipation. 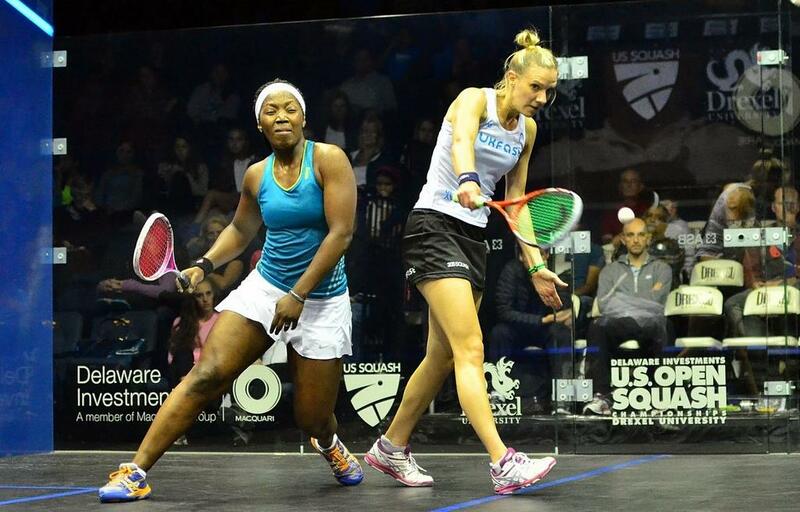 Then in the fifth game, Cheyna adjusted her approach, took command again, and finished off as strongly as she began. 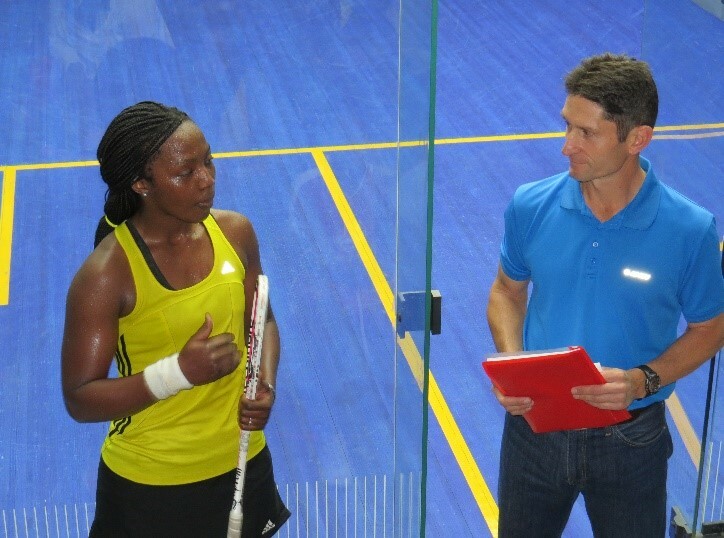 It was an important game to win, and that showed that she’s got some of that much needed BMT…Big Match Temperament. Well done girls. We won the fixture 2-1. 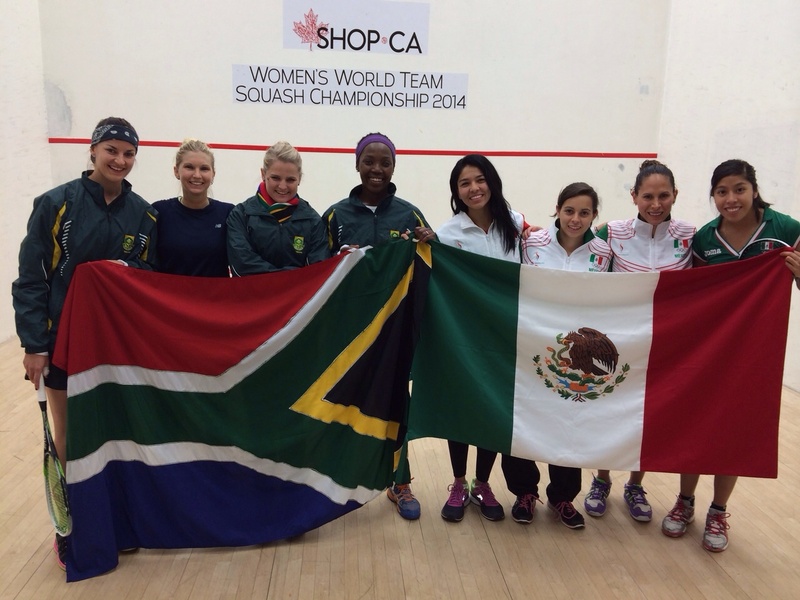 Our next match is against Mexico, Thursday evening 18h00 (Niagara Time). The winner will be in 9th-12th section, so without a doubt, we want that to be us! 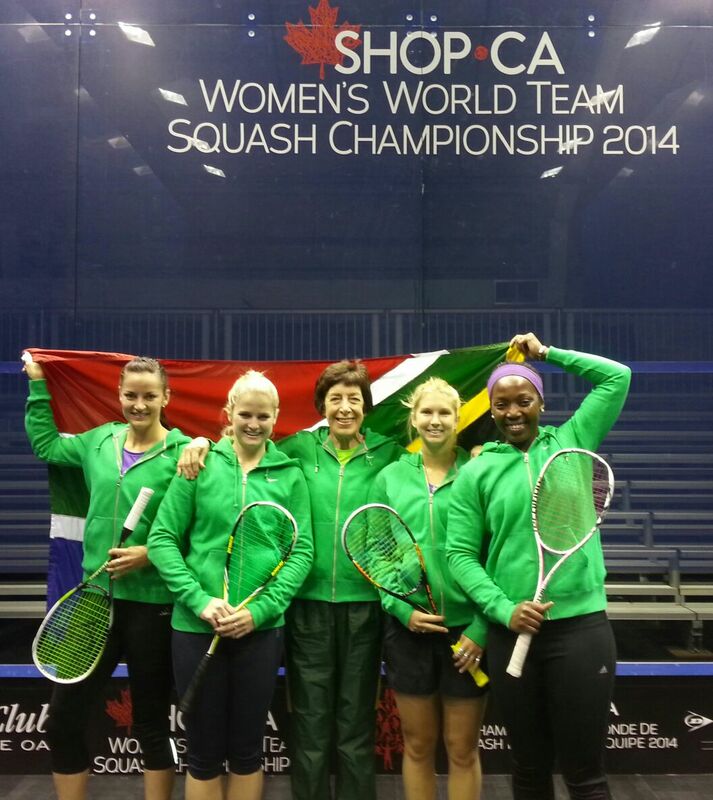 The Women World Squash Team Championships 2014 have kicked off here in Canada, and there’s no turning back now. We are ranked 12th out of 20 teams, and our goal is to finish in the Top 10. In our pool we have some tough competitors, Hong Kong (4th), France (5th), India (13th), Austria (17th). We have already had a taste of defeat and victory on Day 1. The tough match was the first one where we played Hong Kong in the morning. The matches were all a lot closer than what they looked on paper. Each of us had pivotal moments in the matches which could have turned the matches around, especially in tie-breakers, but Hong Kong finished them off better than we did. All in all, the basic groundwork was there, but we just needed to take our opportunities better when they presented themselves. That is exactly what we did when we played Austria later in the same day, and each of us won our matches in straight games. As the captain of SA Team, I am really excited about what we can accomplish here at White Oak Resorts and Spa, as this is the first time our squad consists of only WSA professionally ranked players. Every single player has been working hard to get the right level of exposure by playing tournaments on the pro circuit and training at various locations overseas. We have a strong team with myself at no.1, Milany Louw (2), Cheyna Tucker (3) and Alex Fuller (4). 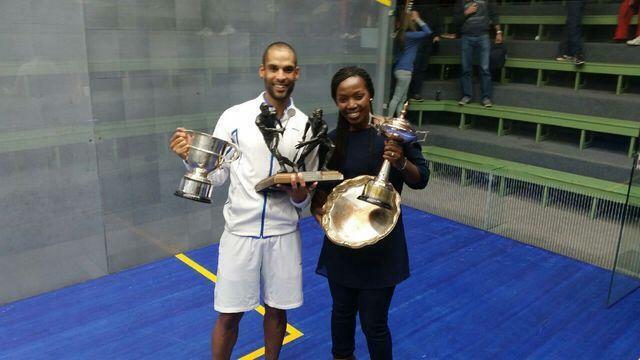 We hope to really bring some African flavour to the World Champs this year, on and off the court. With the Niagara falls just down the road, a reminder of God’s awesome creation, there are plenty of things that can be a source of inspiration to us to be the best we can be. For so long, we look to admire what other nations are capable of doing. It is time to show what South Africans are also capable of doing. 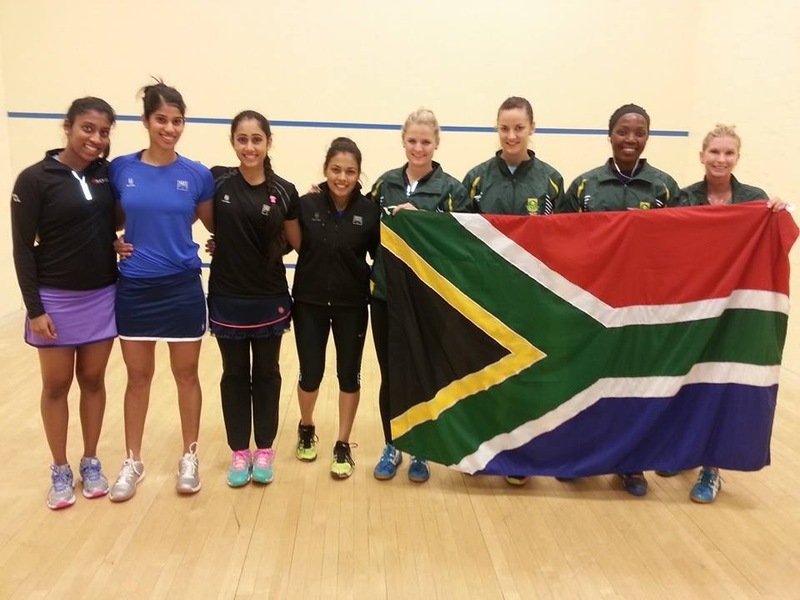 Go Team SA!!! I was ecstatic to be able to win the national title for the second year in a row. I find it more difficult sometimes playing in front of a home crowd, than a foreign one, maybe because of expectations. I really felt the love and support from friends, my hubby (who came up from Cape Town), as well as my coach, Rowan Smith. Thanks to LASER Logistics for their continued partnership, as well as Tecnifibre for my equipment.